The next generation of humans will be a multiplanetary one. The Mars Colonial Transporter (MCT) is one of SpaceX’s in-development rockets that is set to be part of CEO Elon Musk’s Mars colonization plan. When Musk tweeted that the MCT would need a new name since it could “go well beyond Mars,” many of his followers came up with suggestions in an attempt find one that would do the project justice. Recently, one of SpaceX’s Falcon 9 rockets exploded on its launchpad during a routine pre-launch test firing, reportedly due to a glitch in its helium pressurization system. SpaceX is being slapped with a $50-million bill (either that or a free flight) for the AMOS-6 satellite the Falcon 9 was carrying. 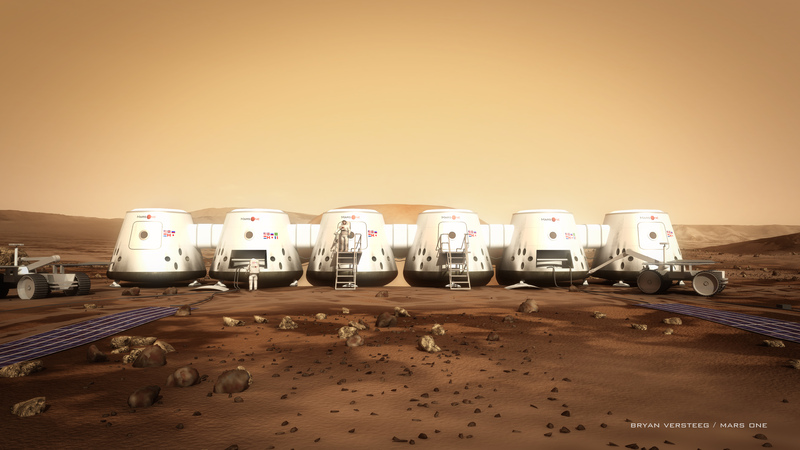 It’s becoming apparent that SpaceX is not the only company taking the Mars colonization plan seriously. A few days ago, the Senate Committee on Commerce, Science, and Transportation passed the NASA Transition Authorization Act of 2016, a bill that ensures space exploration projects will be allocated a $19.508 billion budget for fiscal year 2017. It requires that NASA make it an official goal to send crewed missions to Mars in the next 25 years. With the “when” of it all moving ever-so-closer, it’s only a matter of who will win the race to the Red Planet.